The Conservative government in Canada has reached a new low: it is trying to deprive a Canadian-born citizen of his Canadian nationality, on the grounds that he has a claim to Pakistani citizenship (“Tories bid to strip citizenship from Canadian-born terrorist,” The Globe and Mail, Toronto, October 2, 2015, p. A1). The government doesn’t have to prove he has this claim: he has to prove he doesn’t. And he can’t go to court to object to the government’s decision to de-nationalize him: it’s an administrative matter in the hands of the minister of citizenship and immigration. The person in question is Saad Gaya, who was born in Montreal, a Canadian city. He was convicted ten years ago of a terrorist plot to bomb Toronto. I don’t dispute his guilt, nor do I dispute that if he had succeeded in his plans, it would have been an enormous catastrophe. Asad Ansari, another person convicted of the Toronto plot, is a naturalized citizen born in Pakistan. The government is also trying to deprive him of Canadian citizenship. However, his case is now before a Federal Court on constitutional grounds. According to the 1961 United Nations Convention on the Reduction of Statelessness, which Canada signed in 1978, no government may render anyone stateless. So our government can only go after people who are dual citizens or who—in the case of Gaya--the government claims could be citizens of another country. Note that the individual doesn’t have to be a citizen of another state when Canada decides to de-nationalize him; he must merely—in the government’s view—have a claim to citizenship elsewhere. This is slightly better than the British who are, apparently, now willing to render individuals completely stateless. 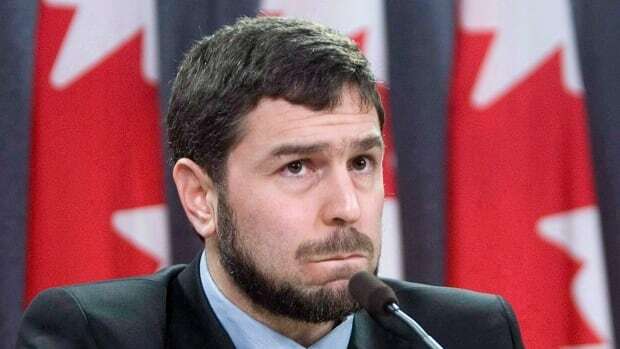 This new Canadian approach is an example of what Audrey Macklin, the author of a chapter in a book I co-edited with Margaret Walton-Roberts (The Human Right to Citizenship: A Slippery Concept, University of Pennsylvania Press, 2015) calls “sticky citizenship.” This is citizenship you can’t get rid of.For example, Maher Arar, the Canadian deported by the US to Syria in 2002 on suspicion of terrorism, couldn’t get rid of his Syrian citizenship. He was tortured so badly that Canada eventually apologized and awarded him a settlement of $10.5 million because it co-operated with the US and the Syrians, instead of demanding his release. According to a report by University of Ottawa law professor Craig Forcese (The Globe and Mail “Several EU countries do permit stripping terrorists of citizenship”, October 3, p. A3) until very recently naturalized Canadians could only be deprived of citizenship if they obtained it fraudulently. This meant that they might have lied when they applied for citizenship, as many former Nazis did when immigrating to Canada after World War II. People born in Canada could not be deprived of citizenship for any reason. Regular readers of this blog will know that on October 20, 2014 I posted a memoir by my father, then known as Helmut Hassmann, (https://www.blogger.com/blogger.g?blogID=6700283514603333187#editor/target=post;postID=3363676294007701043 ).My father was stateless from the time of his birth in Germany in 1913 until he became a British citizen in 1947. Because his paternal grandfather was born in Russia, neither he nor his father was considered German, even though they were both born in Germany. Here is what he wrote after reaching Switzerland in early 1939, part of the memoir I posted a year ago. Before reaching Switzerland he had been wandering around Europe, sometimes imprisoned, for several months. This is what the current Canadian government wants to do. It wants to spit people out, render them outcasts. Statelessness means that no one will take you in, you belong nowhere, no one takes any responsibility whatsoever for you. There’s an electoral campaign going on in Canada right now, and the Conservatives are playing up the worst prejudices of Canadians against Muslims (whom many Canadians equate with terrorists). Aside from the statelessness issue, they’re making a big deal of a judicial ruling that there is no law preventing a prospective citizen from wearing a niqab—a cloth covering her face from the nose down- during the public citizenship ceremony. It isn’t as if there is any question about her identity: she will reveal her face to a female official before the ceremony. But the Conservatives are now higher in the polls than they were earlier in the campaign, because the Liberals and New Democratic Party won’t criticize the court’s ruling. The niqab issue is symbolic. Women who wear niqab in Canada right now may suffer from prejudice, but they still have their human rights. Stateless people have no rights whatsoever. Stateless people are non-people; they do not exist. It is a crime of the most enormous magnitude, and a sin of the highest order, to render anyone--even the most hardened criminal--stateless. Fascinating but saddening stuff. After Kristallnacht, Germany deprived Jewish citizens who had emigrated of their citizenship. Luckily for me, the US took the position that my father was and remained German no matter what another gov't said. These cases show the obverse of Arendt's point that one only has rights when a state enforces and recognizes them.